All rooms open to a common garden and pool area, some having private terraces as well. Decorated in pure Sahara style traditional of southern Morocco with bright colors, berber carpets and geometric tiling, the rooms range in size to accommodate all groups. 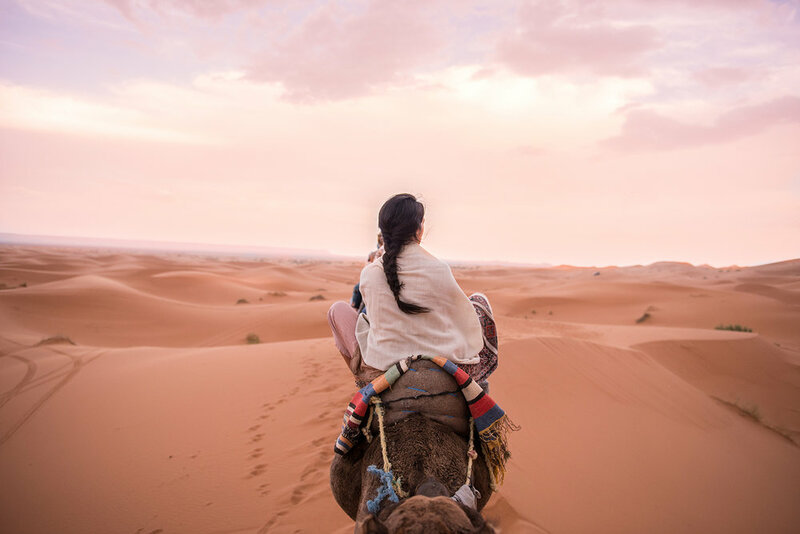 Desert tents are also available for those wishing to experience a camel trek through the dunes, with a traditional dinner and live music around the fire. You can also stay in Riad Café du Sud, an exclusive four-room house surrounded by sloping dunes. The extravagant and spacious suites offer a luxurious experience with hand-crafted furniture, king-size beds, a terrace and sitting area. What is a trip to the Sahara without a camel trek? Experience the magic of the desert firsthand, just as the caravans did, crossing the African deserts between mythical cities. With the option of shorter rides to appreciate sunrise or sunset, longer treks are also available where you sleep in a desert tent right in the Saharan dunes. Traditional Moroccan food is available at the restaurant on-site. Auberge Café du Sud is located in the Dunes of Erg Chebbi, in the southeast of Morocco, near Merzouga. The most common way to get to Auberge Café du Sud is to follow the paved N13 road in the direction Rissani-Merzouga. Airport transfers are available through the hotel, or hire a private taxi/"taxi collective". Rooms in the hotel start at $43 and includes breakfast. Suites in the Riad start at $165. Auberge du Sud is open all year long. We are a family oriented hotel and we proud to be pet friendly as well. 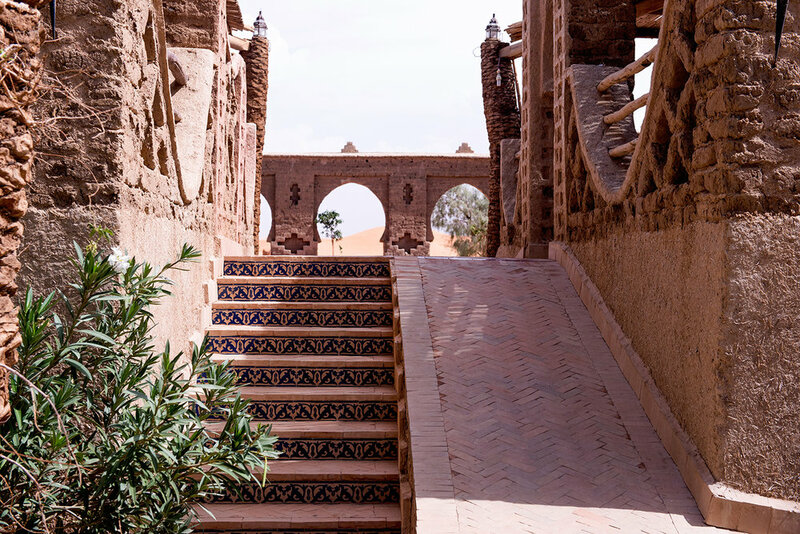 The region around Auberge Café du Sud has a lot more to offer besides the charming Erg Chebbi Dunes. They also organize desert tours in the desert to explore the surrounding region visiting the black desert, searching for fossils and enjoying some local experiences like having tea with a nomad family, visiting the village of Khamlya (whose inhabitants come from Mali and Sudan), you experiencing live African music and dance. There is also the option to explore the desert by 4X4 /4WD or quad/ATV.